Wanting to achieve greater efficiency and productivity but not sure how to get there; or alternatively, feeling like you’re solving the same problem over and over, and feeling like ‘accountability’ is the problem. Senior leaders feeling burned out, jaded and disconnected from their life’s purpose. Solving these problems is the core of our business! With an array of diagnostic tools, training solutions, and performance management experience, we’re able to address your particular challenge and provide the education and structure you need to overcome it once and for all. This will transform your environment to one that is optimistic, successful, and capable of handling all the challenges. Still chaotic? Probably, but you didn’t start your business because you wanted boring. With certified HR professionals and over 20 years of Organizational Development at the executive level, we know how to build processes and structures to support growth while remaning nimble. We work with you to make sure you have all the right systems in place to hire, retain, and manage the very best. Your business will be successful if the right people are doing enough of the right behaviors at the right time. We are experts at helping you define and measure the things that will make your business succeed. This concept will revolutionize the way your managers manage and lead. For most business owners, it’s about more than just profit. You want to love your jobs, and you want your employees to love their job. Our leadership coaching programs get leaders back in touch with why they’re doing this by connecting them with their passion and purpose. The result is transformational. Our performance management program has been implemented in countless organizations in every conceivable industry and has yet to produce substantial gains when implemented correctly, in its entirety. 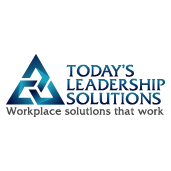 Carrie founded Today’s Leadership Solutions in response to a need for flexible, scalable management and leadership solutions for growing businesses. After earning a degree in psychology, Carrie was mentored in behavior-based performance management systems by one of the pioneers in applied behavioral science. In addition, Carrie has spent years researching and developing management, leadership, and personal development curriculum that produces maximized growth and effectiveness. Carrie’s certifications include Senior Professional in Human Resources, SHRM-SCP, Executive Coach, and Professional Resume Writer.